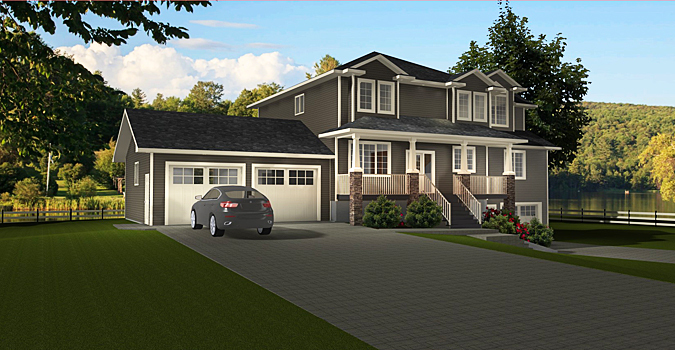 Great for a multi-grade lot, this plan has a 2-car attached garage plus a lower 1-car garage on the opposite end with access to the basement. This would work well for a future mother-in-law suite. 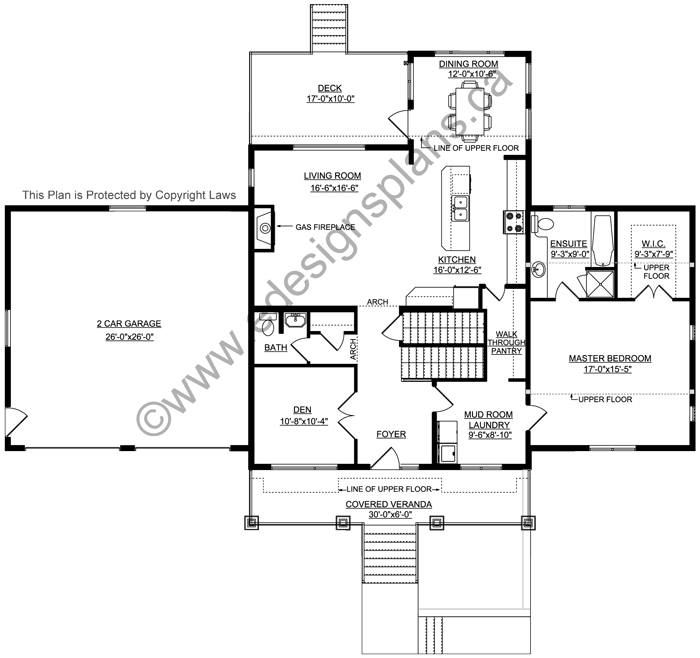 The master suite is on the main floor and above the lower garage. 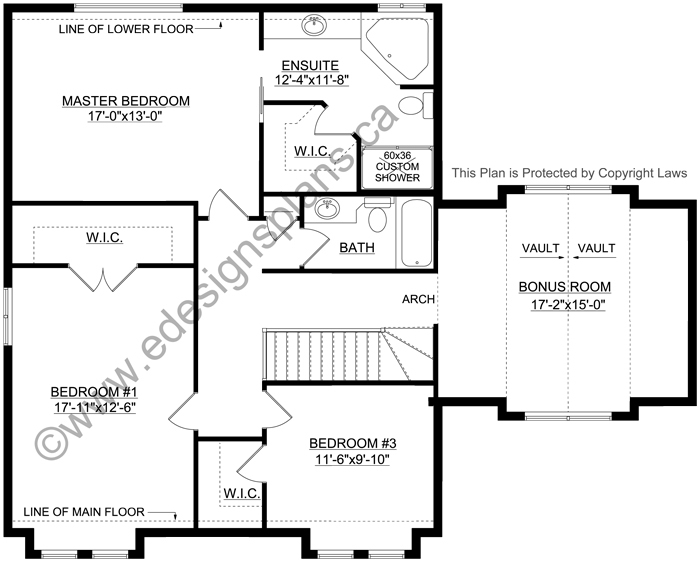 It has a 4-piece ensuite and a large walk-in closet. 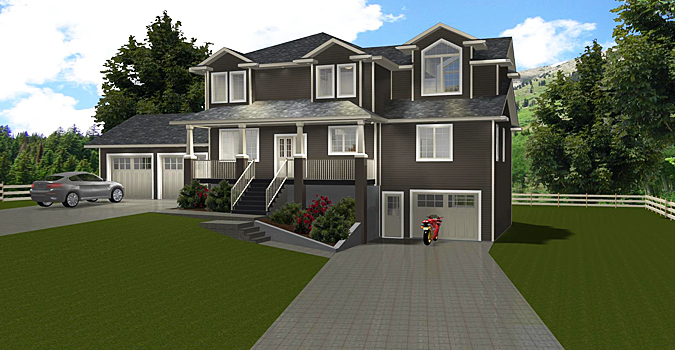 The laundry and mudroom is right next to the master suite and just off the front foyer. A den with double french doors is just left of the front foyer, and a half bath is located just behind the den near the coat closet. Through the archway takes you to the open kitchen and living room. A gas fireplace is on the garage wall of the living room. The dining room is separate and has lots of large windows plus a garden door leading to the rear deck. 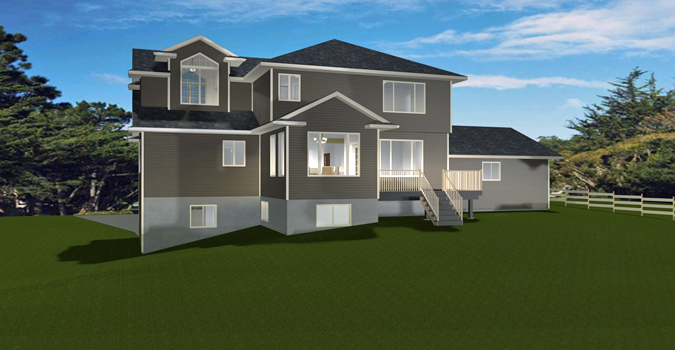 Upstairs, there is another full master suite with a 4-piece ensuite and walk-in closet, plus 2 more bedrooms. A huge bonus room extends over the master suite on the main level. The multi-roof line and stone pillars bordering the front covered veranda give this house a unique look.